Home » News » Events » Roundtable Belgrade: What are the Advantages of Regional Arbitral Institutions? Roundtable Belgrade: What are the Advantages of Regional Arbitral Institutions? 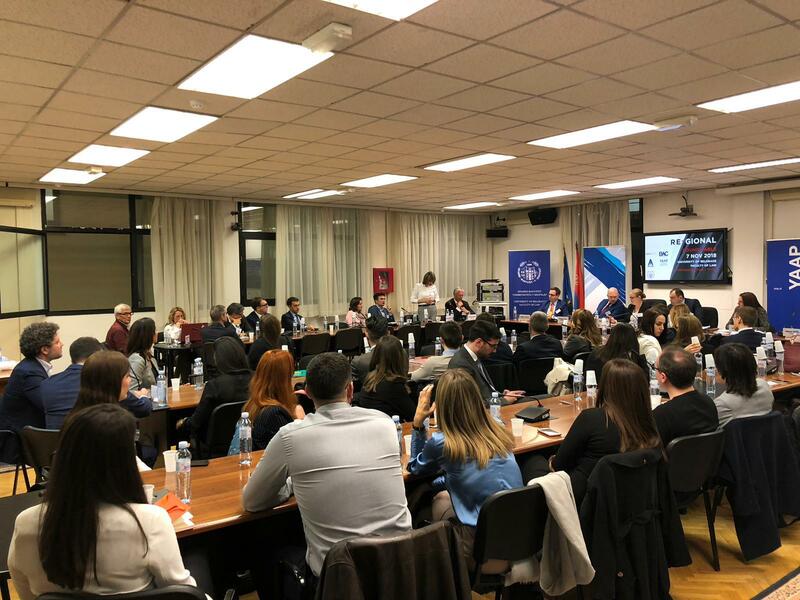 On November 7th, the University of Belgrade Faculty of Law hosted a roundtable discussion to advance the participants’ understanding about the advantages of regional arbitral institutions – such as VIAC in Austria or BAC in Serbia – over larger, international institutions. More than 70 lawyers, general counsel and members of the Belgrade law faculty listened to opening statements by the presidents of VIAC and BAC. The remarks of Günther Horvath and Maja Stanivuković were followed by three discussions, each led by an Austrian and a Serbian legal expert, and moderated by Milan Lazić of Karanović & Partners and Filip Boras of YAAP. The last two points segued well into the second discussion: Is arbitration that is handled regionally cheaper and faster? The short answer is unequivocally ‘yes’ said KNOETZL Counsel Natascha Tunkel and her fellow discussion leader Jovan Nikčević of Baklaja Igrić Tintor. Administrative fees and arbitrator compensation are charged at fixed rates tied to the amount in dispute. Natascha Tunkel on costs of regional arbitral institutions. The third discourse revolved around innovative ideas that can make regionally-handled arbitration more attractive. Helmut Ortner of WilmerHale and Sara Pendjer of Stanković & Partners suggested to make regional arbitration more sector-specific. After that, options of third-party funding were explored as well as further ideas aimed at improving legal expert teams and strengthening cooperation with arbitration institutions around the globe. Closing remarks were made by KNOETZL Partner Patrizia Netal and Assis. Prof. Milena Đorđević of the Arbitration Association and followed by a festive networking event co-sponsored by KNOETZL. For more information on regional arbitral institutions, please contact our arbitration experts.